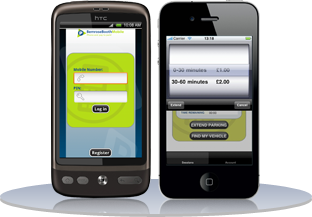 Bemrose Booth Mobile Park, Pay and Go! 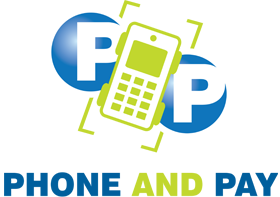 Log in here to access your 'Phone and Pay' account. Not registered? Register here Forgot Pin? and Pay” is a cashless parking provider offering an array of modern payment options for motorists throughout the U.K.
Register your vehicle details and simply park, pay and go! 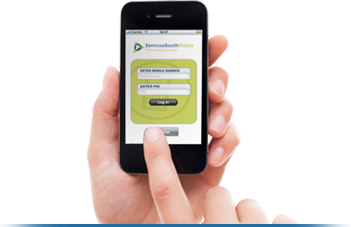 A free downloadable application, compatible with most android and I-phones. The sleek design and convenience in size allows for quick and efficient payments. The system requires motorist’s vehicle details along with payment details. All information is transferred through a secure server and your details will be handled with strict confidentiality. Being able to pay for parking in various local shops is so handy. It means that I don't have to worry about having the exact amount or losing out on change. I've used the Phone and Pay app a few times now and have found it really user-friendly. I like the fact that I only had to register once as the last thing I want to worry about when booking parking is providing all of my details again. I had a meeting which overran and was worried I'd get a ticket but then I remembered the extend your parking option. With one simple text I had added another hour on to my parking and had one less thing to worry about. I've always been wary about making payments over the phone or online with my debit card, but the added security option with Phone and Pay put me right at ease.